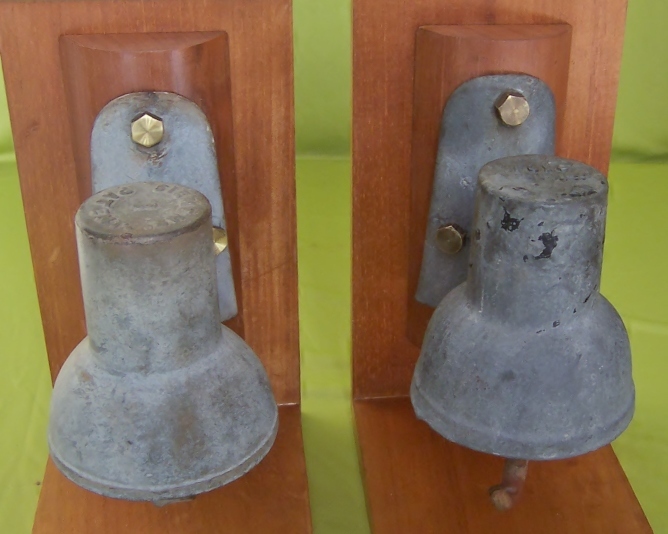 Two iron clad insulators with a curved bracket to fix them to a post. The one at the left marked SIEMENS PATENT 1. The other; BULLERS LIMITED LONDON and FCNO (see above). .